Based on Kevin Duala's trip to Madrid to study Spanish in a beginner course, you will learn Spanish in a very practical way, in just 24 steps. You can check your progress at the end of each stage with the challenge of espionage, which also is a quick glance through the course. Get help through the User's Guide. Check your level and how much Spanish you know by taking part in this game of espionage. It will help you to review and reinforce what you have learnt. 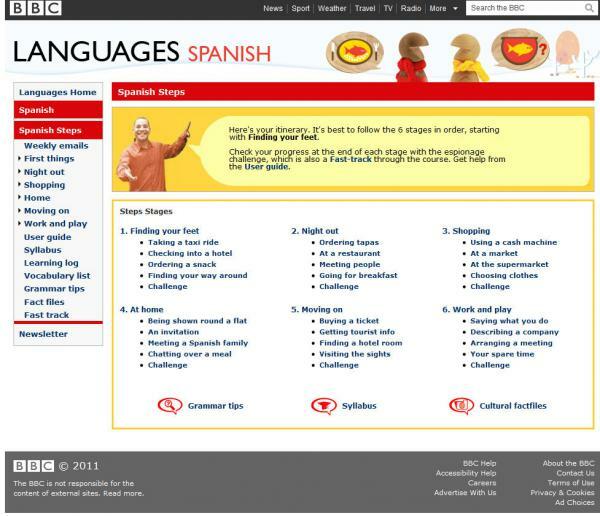 If you already know some Spanish, use it as a quick run through the course.